Any evidence you collect after a car accident can play a vital role in protecting your legal rights. While many car accidents are minor, others are extremely serious and potentially fatal. Irrespective of the seriousness of the accident, the whole experience is overwhelming and agonizing. Many car accident victims wonder what to do after a car accident. It is important to gather your senses and document the accident to protect your legal and financial interests. Any documents that you collect can offer valuable evidence to prove your insurance claim and can play a vital role in getting you the compensation that you deserve. The first step after a car accident should be to call 911 and report the accident. After ensuring that there are no serious injuries, survey the accident site and collect all possible evidence. It is important to document all accident-related damages. There are various ways in which to gather evidence and document the damage caused by the accident. 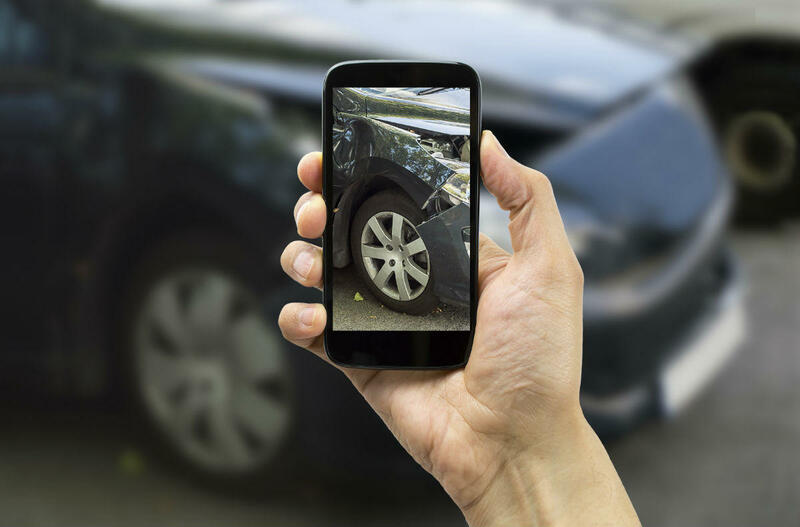 Apart from filing a police report and gathering information from eye witnesses, one of the best ways to collect evidence is by taking pictures of the accident site and the vehicles involved in the car accident. Take pictures of all the motor vehicles involved in the accident, even if there is no visible damage to one or more of the vehicles. Photographs of the other vehicle involved in the accident can help identify the other car using details such as license plate, model, make, and color of the vehicle. Photograph any property damage to the other car involved. If you think it is safe, take photographs before any of the involved cars are moved from the accident site. Take as many photographs as possible, both distance and close up shots. This will help prove the location, speed of travel, force of collision, and direction of movement of the other car. Take pictures of the windshield of the other car. Some car accidents have been caused because there was something hanging from the rear view mirror and it obstructed the driver’s view of the road. Take high resolution pictures if possible. However, even a low quality picture would be helpful when it comes to collecting accident-related evidence. Even with a basic cell phone camera, you can take pictures that are in focus, have a high enough resolution, and are well lit so that important details are discernible. If you have been injured in an accident and have managed to gather sufficient evidence, that does not guarantee that you will get the compensation that you deserve. It is in your best interests to seek legal help from a competent St. Louis car accident lawyer.